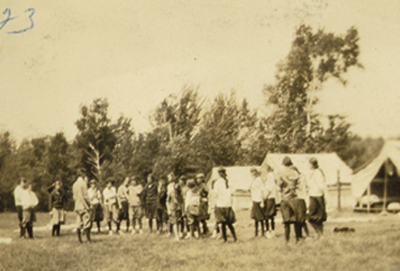 YMCA Camp Coniston celebrates its over 100 years of building healthy spirit, mind, and body for all. 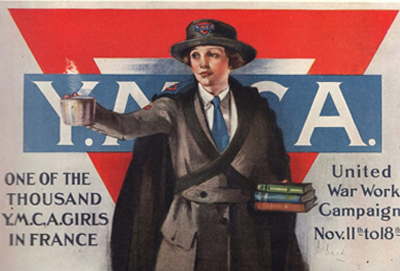 While you may notice that some things have changed since 1911, our mission remains. We are a community composed of individuals with different backgrounds and experiences. An organization helmed by local, regional, and world leaders and innovators. Our past reveals a rich history filled with forward-thinking, community-minded individuals with vision. 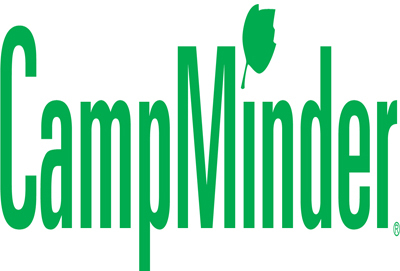 With their insight and vital donations, camp has been able to grow and impact countless more lives. Today, our proud alumni network combines with an unparalleled outdoor setting to foster confidence through skills, growth through challenge, and community through acceptance. We invite you to take a look and join us. 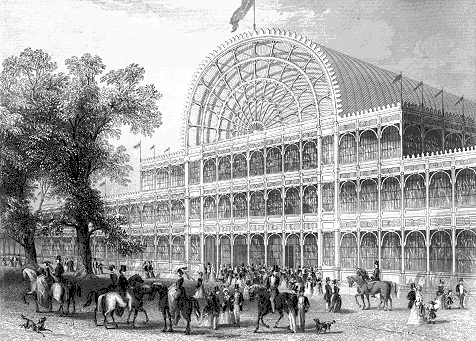 In 1851, Hyde Park in London, England hosted the Great Exhibition. 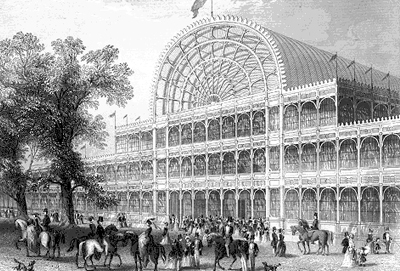 Many well-known thinkers and leaders of the time attended the event, which showcased industrial and technological advancements from the United Kingdom and around the world. It was open for several months through the spring, summer, and fall, with millions of attendees. 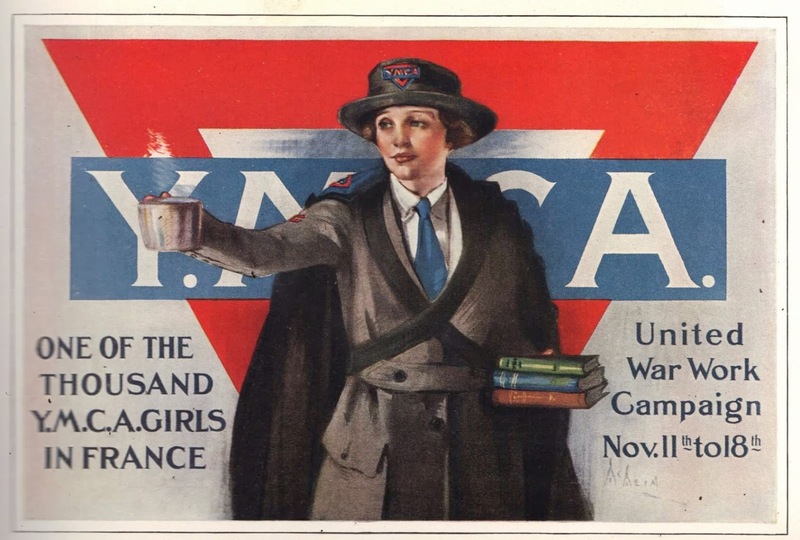 Some attendees from across the pond in North America were inspired by the YMCA, then an organization largely contained to England, and brought the idea back home with them. YMCAs were opened in Montreal and Boston by later that same year. 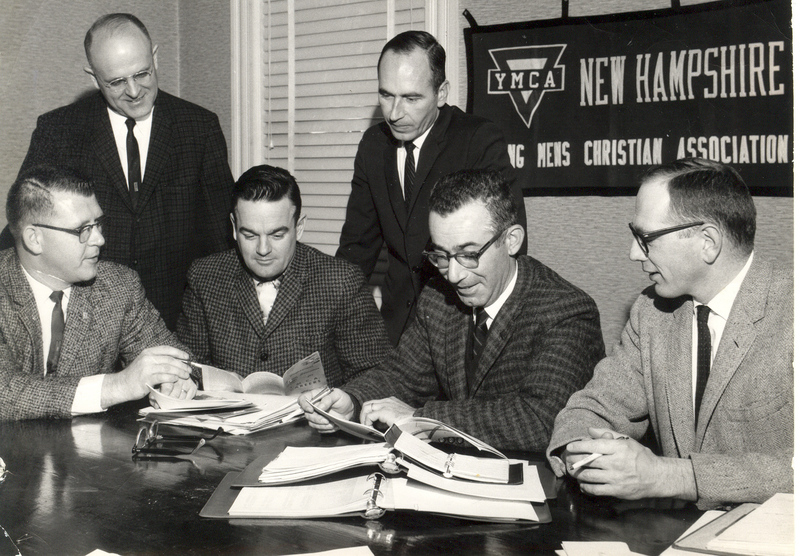 With YMCAs established on either side of the state the year before in Boston and Montreal, it was only a matter of time that a branch of the YMCA would be established in New Hampshire. 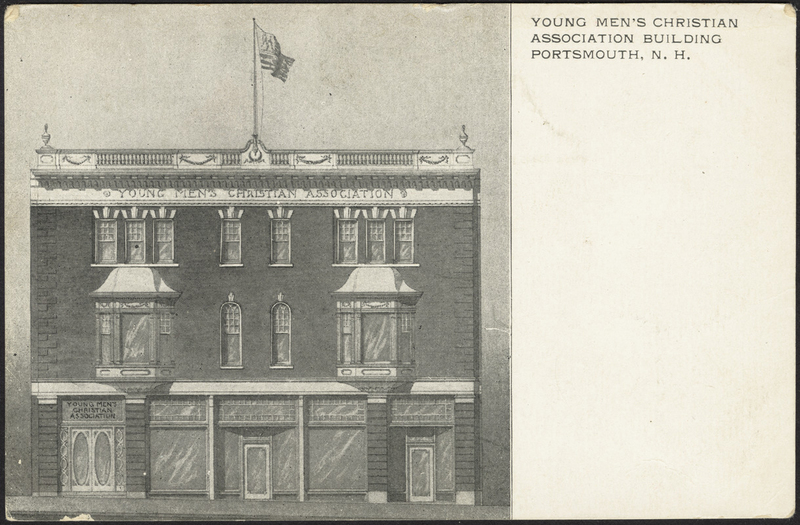 Portsmouth opened a Y in 1852, and they would continue to spring up throughout the state. 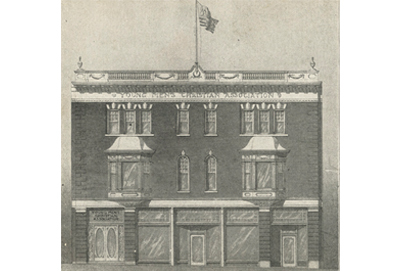 Claremont and Newport, NH had temporary branches in the 1870s. Small towns grew their programs slowly during the latter half of the 19th century. -And have been awarded the Nobel Peace Prize!! Pictured Left is the Portsmouth YMCA building. 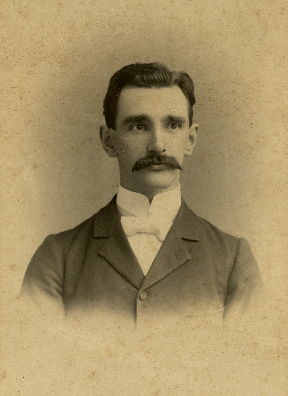 Charles A. Tracy began his 30-year-run as headmaster of Kimball Union Academy in 1905, a time when the technological landscape of the area was quickly evolving. 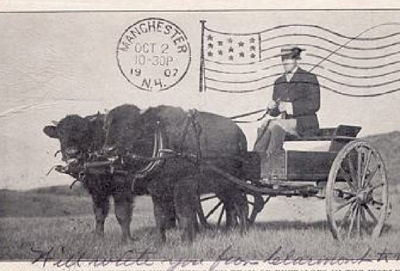 Without the stimulus of railroads, and before automobile travel was as easy and ubiquitous as it is today, Tracy realized that without clear organizaiton and leadership, the region could fall behind. 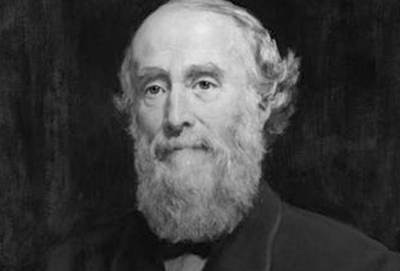 Known as a pioneer of "civic and rural betterment," he began to reach out to the local, rural population, and within a few years was working with the nearby community to make sure that the Academy continued to grow. Seeing the positive changes that could occur when citizens were able to effectively engage with each other, he was able to apply his contacts and resources to growing youth programs throughout the area. 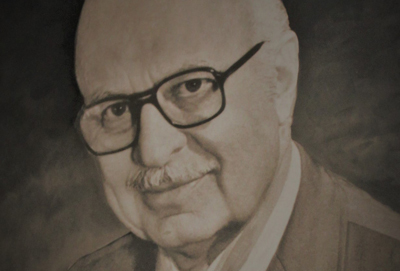 He was responsible for founding the bird sancturary that would be Camp Soangetaha's first home, and was a central figure in creating Camp Soangetaha by lending his name and influence to the effort. 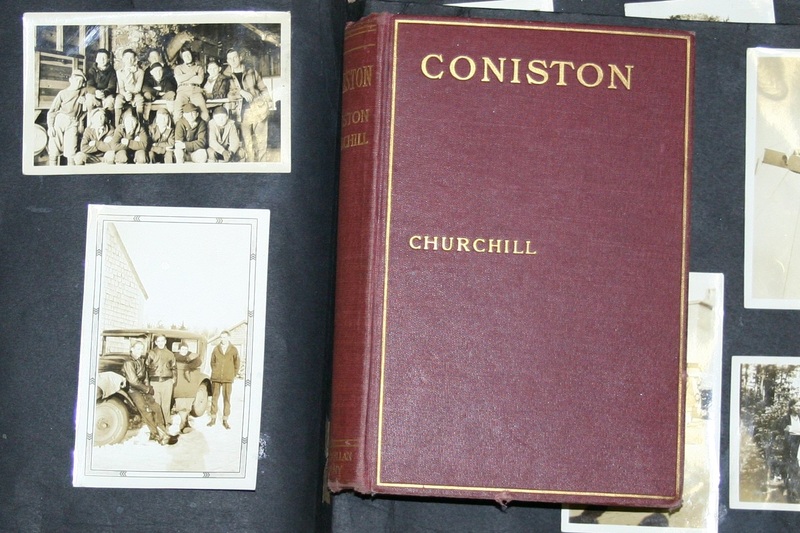 Author Winston Churchill Publishes "Coniston"
Although you won’t see it on any top-seller lists today, author Winston Churchill published his popular novel “Coniston” in 1906. Not to be confused with his distant cousin, famed prime-minister Winston S. Churchill (who once described himself as the “less famous” Churchill), author Winston Churchill wrote “Coniston” as a progressive critique of post-Industrial Age corruption. It would become the best-selling novel of 1906 and was listed in 1925 as one of the top five most important books of the century by Publishers Weekly. 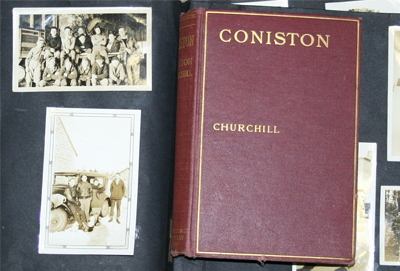 The popularity of Coniston would make Churchill the most famed writer at Augustus St. Gaudens Cornish Artist’s Colony, now New Hampshire’s only National Historic Site. He was even recognized by both Woodrow Wilson, who used Churchill’s home as a “summer white house,” and Teddy Roosevelt, who counted “Coniston” among his favorite reads. 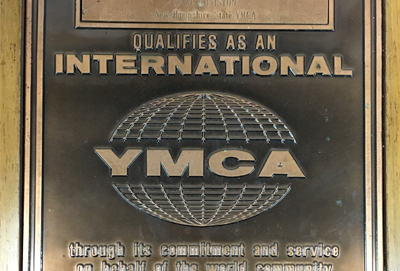 By the year 1900, the towns of Newport and Claremont maintained long established active YMCAs teaching English as a second language to immigrants in the mills. In 1911, the Newport YMCA even ran all of the activities celebrating the town’s 150th Anniversary. 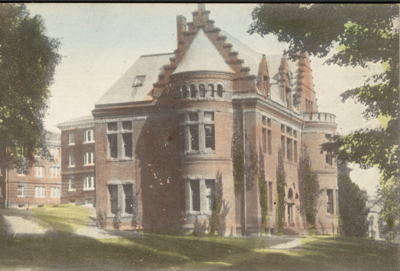 YMCAs were also founded in Meriden, New London, and Hanover, and administered social activities at Kimball Union Academy, Colby Academy (now Colby-Sawyer College) and Dartmouth. Even towns like Acworth, Croydon, Grantham and Mill Village (Goshen) had YMCAs that served as Granges and activity organizers for local youth. At the time, it seemed like there was a YMCA on every corner! However, YMCA activity was about to increase dramatically. 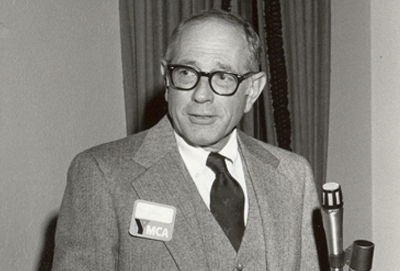 In 1910, Fred B. Freeman was hired by the State YMCA to streamline and develop these smaller organizations. 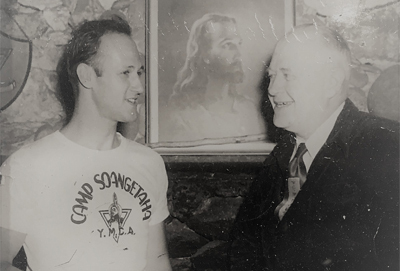 The Sullivan County YMCA was founded that year, and laid the necessary foundation for Camp Soangetha to be chartered under its umbrella the following year. 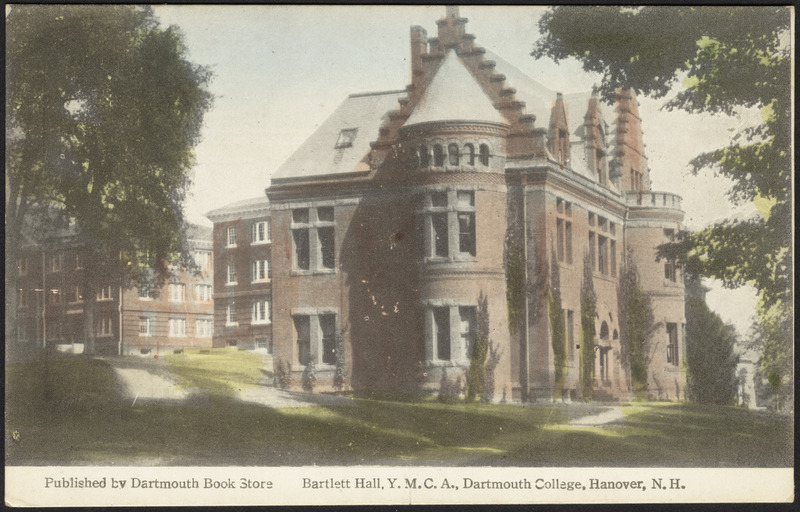 Pictured left is the Bartlett building at Dartmouth College, orginally constructed to house local YMCAs. 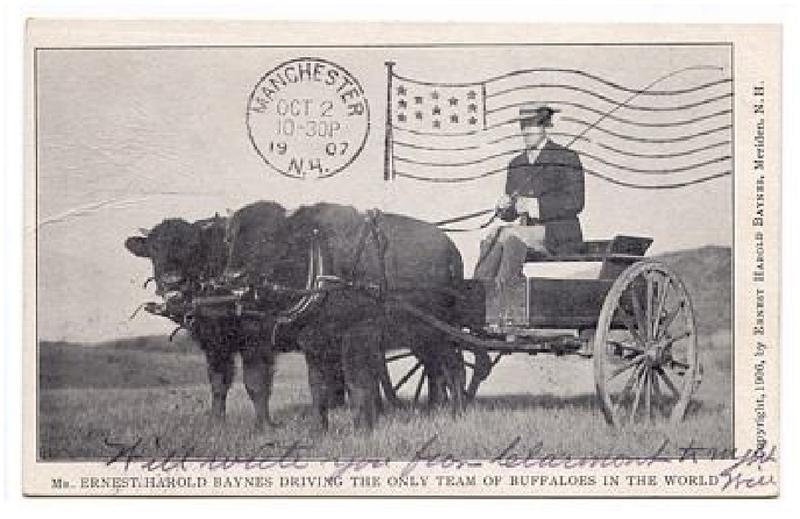 In 1910, naturalist and visionary Ernest H. Baynes arrived in Western New Hampshire to study, of all things, bison. Corbin Park, stocked with several types of exotic animals including elk, boar, and the largest herd of bison in North America at the time, was the perfect place for Baynes to conduct his studies. That December, Ernest H. Baynes happened to give a lecture from the chapel at Kimble Union Academy in Meriden that would not only have an immediate impact on the formation of our camp, but would leave lasting ripples in the environmental community. Emphasizing the plight of wild birds of the day, who were overly-hunted for their decorative feathers and eggs, Baynes outlined how the local community might be able to help, including one revolutionary concept popular across the Atlantic but yet to gain popularity in North America: the bird house. The following day, the senior class at KUA (and no doubt encouraged by Charles A. Tracy) raised $25.00, well over 600.00 in today’s money, to help purchase bird houses for the campus. From there, a fascination with avian conservation quickly spread throughout the town of Meriden. Donations allowed for hundreds of bird houses to be installed throughout the town. Baynes, the Meriden community and members of the nearby Cornish Colony, (now a national historic monument), worked together to perform plays and spread information about birds and birding. The Meriden Bird Club was founded days after Baynes initial speech, and by the next year, a 32 acre farm would be secured for use as what was the first bird sanctuary in North America. This site was the original home of what someday would be called Camp Coniston. State of NH issues charters for the Sullivan County Committee of YMCAs. 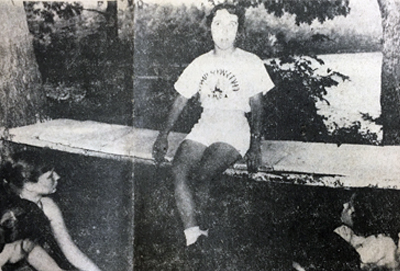 The Sullivan County YMCA opened Camp Soangetaha, which operated for one summer at the Meriden Bird Sanctuary, the first in the world. 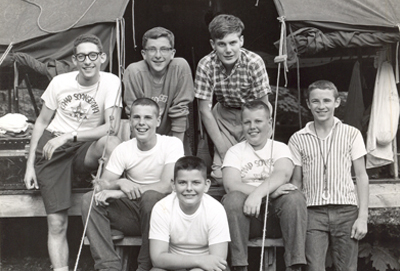 This group of campers focused on hiking and outdoorsmanship, and was briefly known as the Rural Boys Institute. On August 3, 1911, beneath the tall pines of the sanctuary, they began hiking and exploring the wilderness. 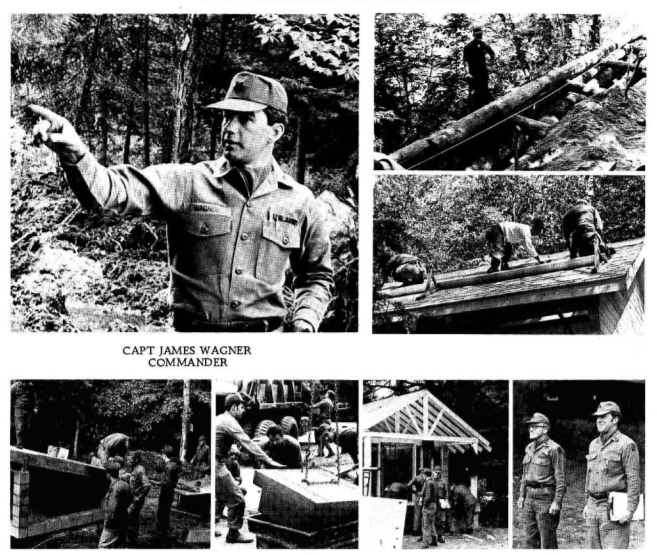 During the first summer, Ernest Baynes led nature walks, author Winston Churchill and Governor Bass taught citizenship as an evening program, and Wayne C. Jordan served as the first Camp Director. Camp moves to Rand’s Pond. 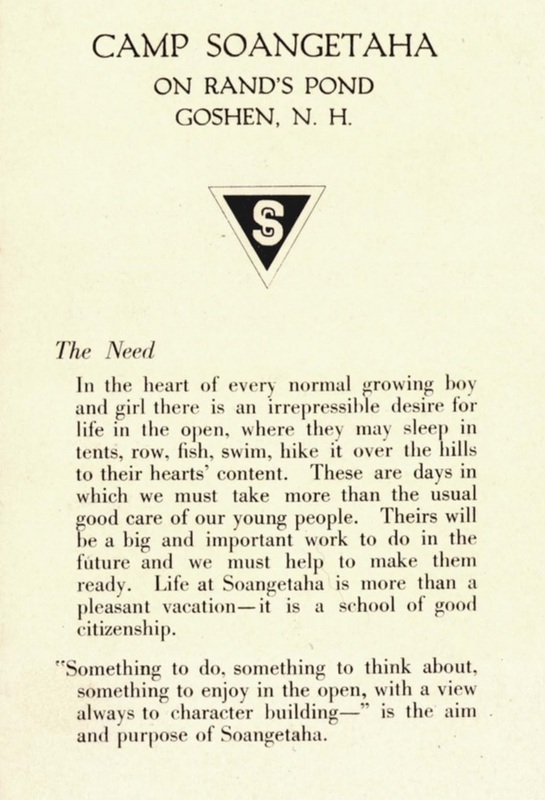 The name “Soangetaha” is selected for the camp by Dartmouth students, taken from a line in Longfellow's epic 1855 poem "The Song of Hiawatha"
Pictured left is the logo that will be used through the 1930s. 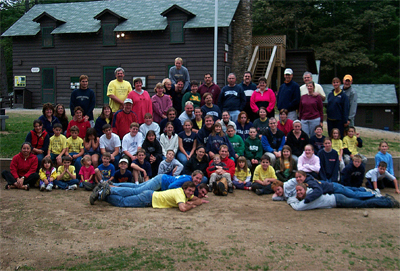 Camp Soangetaha moves from the Meriden, NH to Rand’s Pond near Mt. Sunapee. Click here to see Rand's Pond on Google Maps! Camp Director P.A. 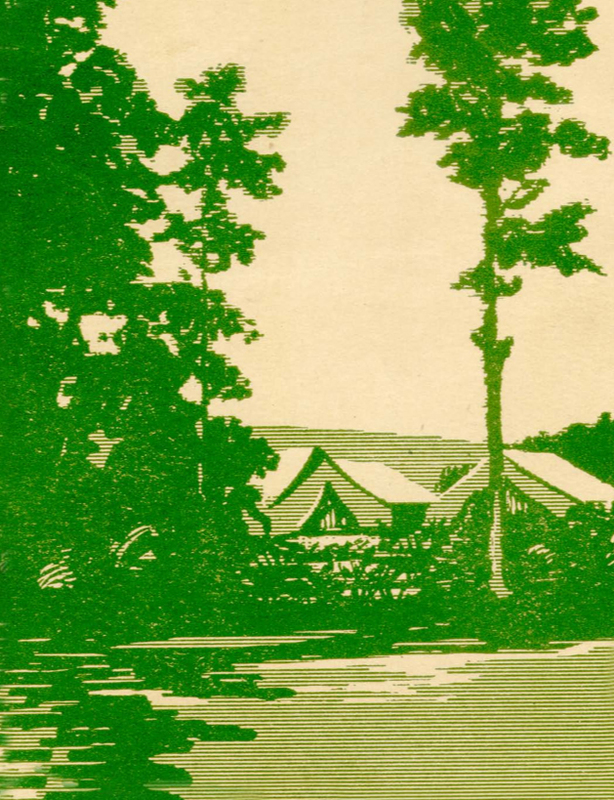 Foster begins (through 1915) and operates Camp in its new location on Rand’s Pond, ten miles from our current location on Lake Coniston. 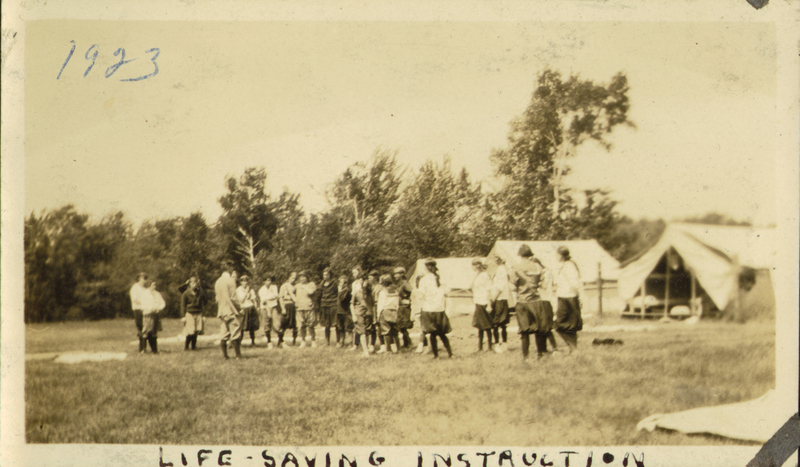 This is around the time that under the direction of board member and Colgate-Palmolive CEO Richard M. Colgate, life-guarding begins to be taught at camp. 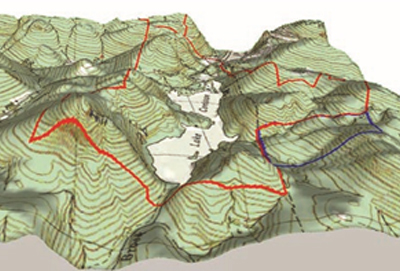 Pictured left is an example of the early coursework. 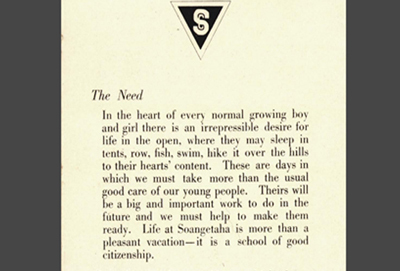 YMCA Camp Soangetaha began administering coed camping programs. 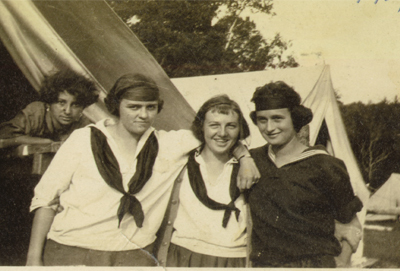 What was called at the time an “experiment” in camping proved to be an instant success, making our YMCA one of the oldest coed camps in the nation! In fact, the phrase "immediate success" used above was taken from a 1919 pamphlet! 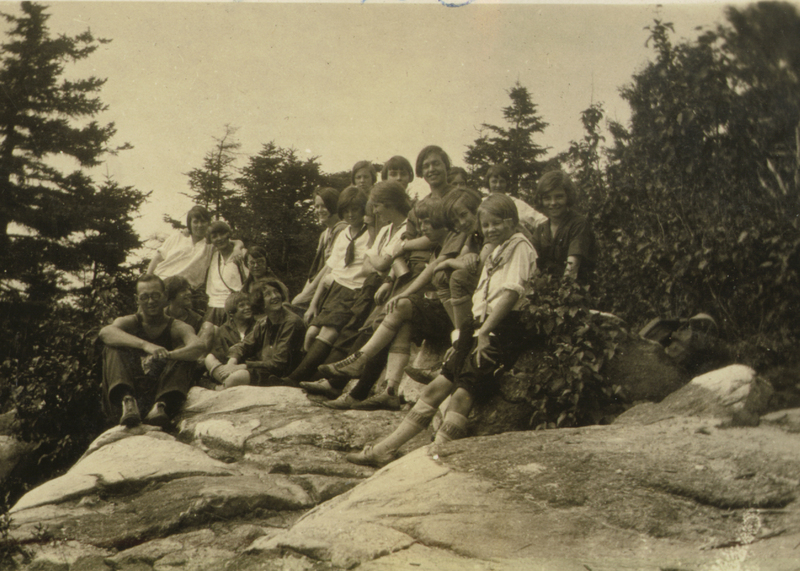 The Dudley family of Hanover, NH opens a private girls’ camp, Camp Interlaken for Girls, on Long Pond in Croydon, NH. 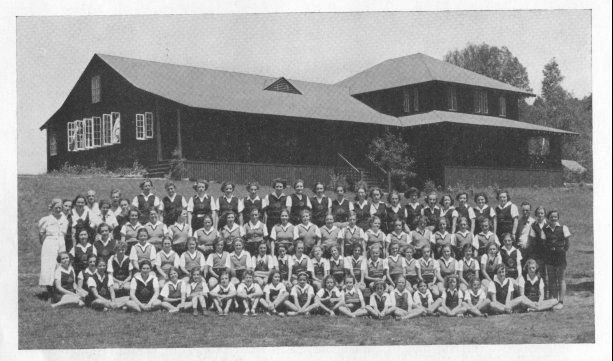 The property and buildings would later be sold to our YMCA as the new home for Camp Coniston. 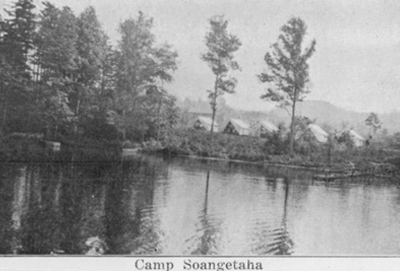 Before this date, Camp Soangetaha had essentially been camping out in George Bartlett's backyard! Thanks to a generous donation, The Sullivan County YMCA formally acquires the property on Rand's Pond for Camp Soangetaha, where it had been camping out anyway for 15 years. 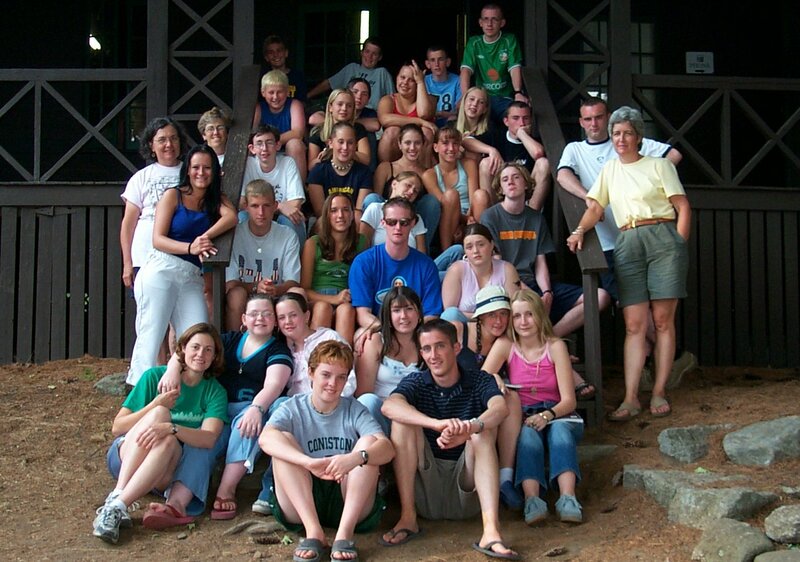 Many of Coniston's enduring traditions date from the years at Rand's Pond ... the CIT Trip to Mt. Washington, Sunday Select programs, closing campfire, the triangle ceremony, bathhouses named “The College”, and even the Camp Bell! 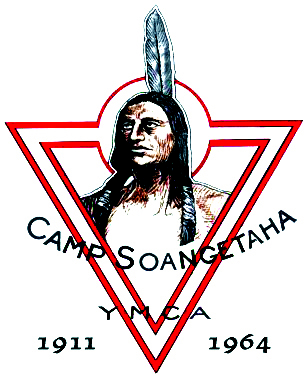 The new logo for Camp Soangetaha incorporates the image of Longfellows' Hiawatha character with the Soangetaha name. This design will continued to be used for decades. Continuing in the tradition of a global movement that began in London, Soangetaha campers begin mail exchange with young YMCA members from across the globe, sending and collecting souvenirs and letters from many countries. 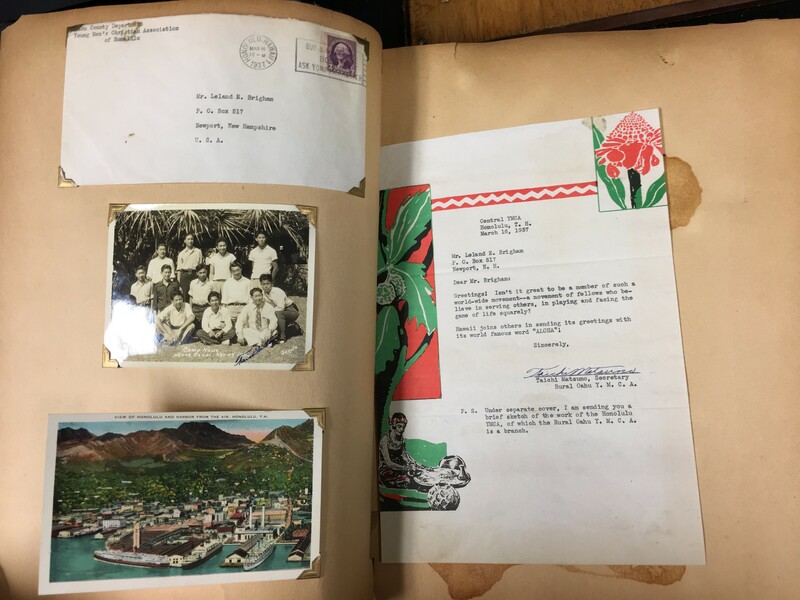 Pictured left is our correspondence with a YMCA from Hawaii...before it was a state! "Who Hath Heard the Birch Log Burning?" “Who hath smelt wood-smoke at twilight? Who hath heard the birch-log burning? 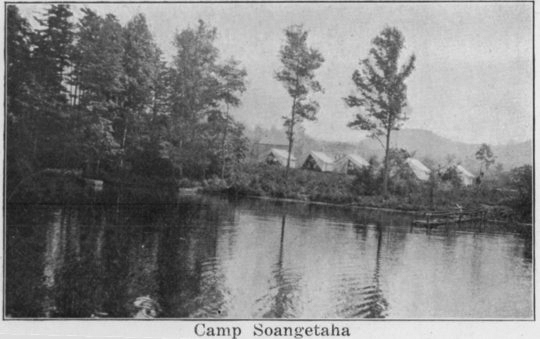 Soangetaha, “a camp of proved desire and known delight,” operated under this slogan until the camp moved from Rand’s Pond in 1964. 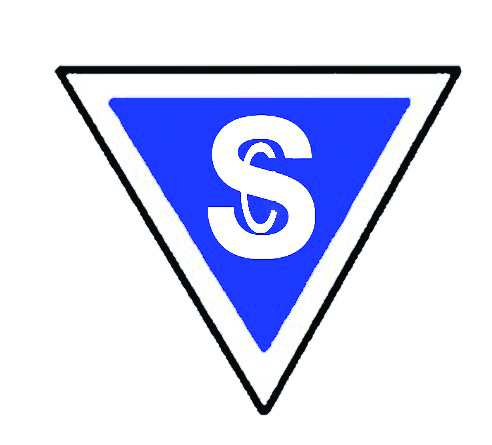 The name Soangetaha comes from Longfellow’s "Hiawatha," the poem whose main character was featured in the logo at the time. Although camp has had only four directors since the 1950's, before that time directors came and went more frequently. Lindzay Varnum began in 1941, taking over for interim director John Condon, who we're sure must have been happy to return to his normal position as board chair after what must have been a busy summer! George Wheeler took up the role of director through the war years (1943-'46). 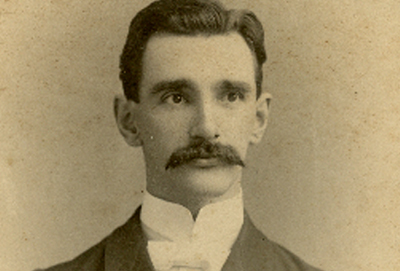 Louis Primer, known with his wife as Uncle Lew and Aunt Lynne, directed the organization until the arrival of George Magoon a few years later, who would begin to change the structure of the organization. 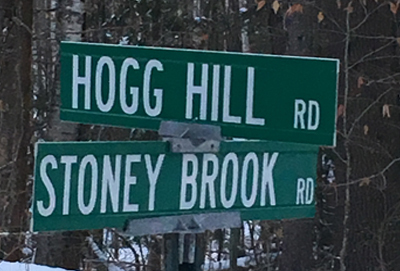 New Hampshire historically had many bodies of water called "Long Pond," so at the request of the State of New Hampshire, Long Pond in Croydon is renamed Lake Coniston by the Dudley Family, after their favorite book. Deserving children from Newport are sent to Camp Soangetaha by the Josh Young Foundation, founded by philanthropist Josh Young. 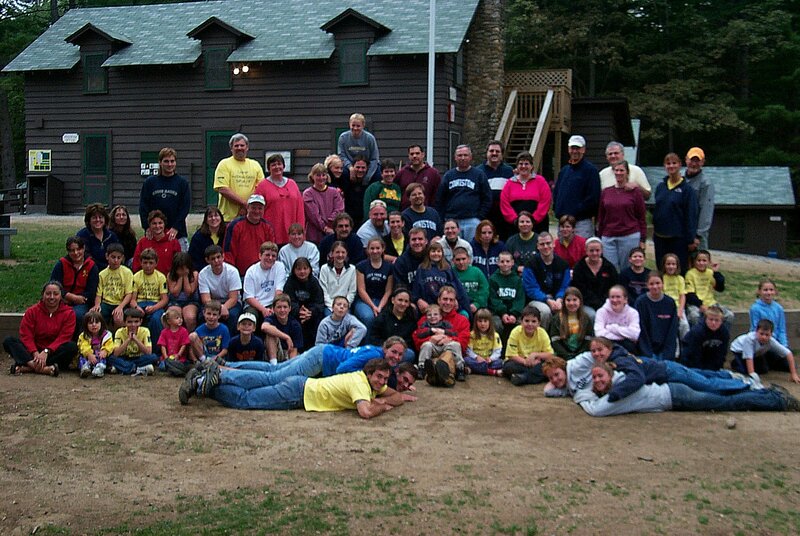 Over a hundred kids have attended Coniston thanks to the Josh Young Memorial Fund through the New Hampshire Charitable Foundation to this day. 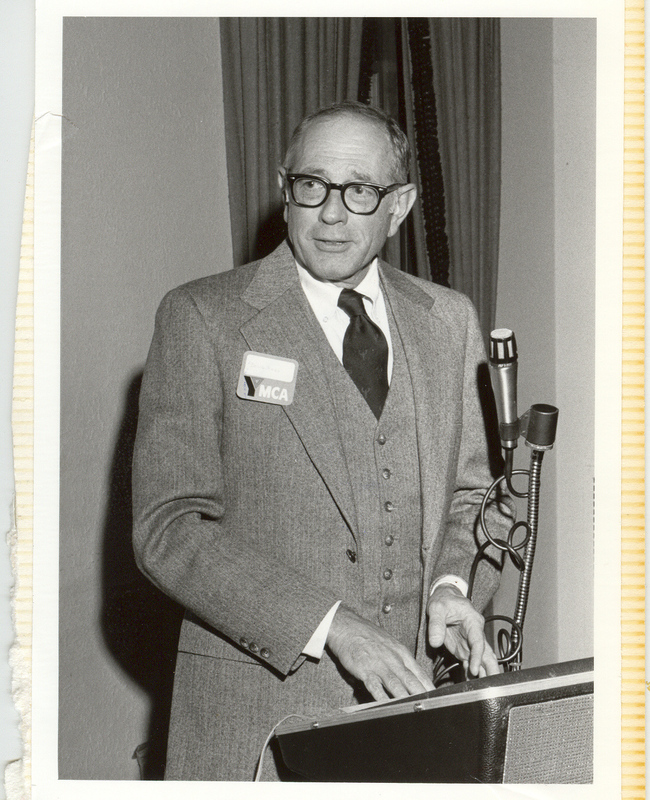 Our earliest records of George Dorr, Jr. begin in 1948, as a member of the Camp Soangetaha board. 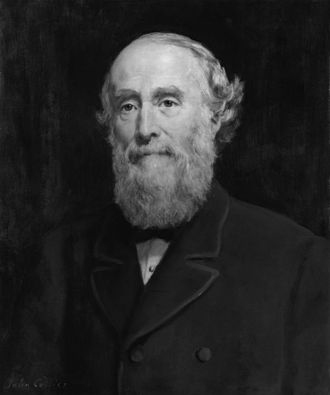 Mr. Dorr spent his career running the innovative Dorr Woolen company in nearby Newport, NH, and represented the United States in Geneva during the creation of the General Agreements on Tariffs and Trade (GATT) Treaty. 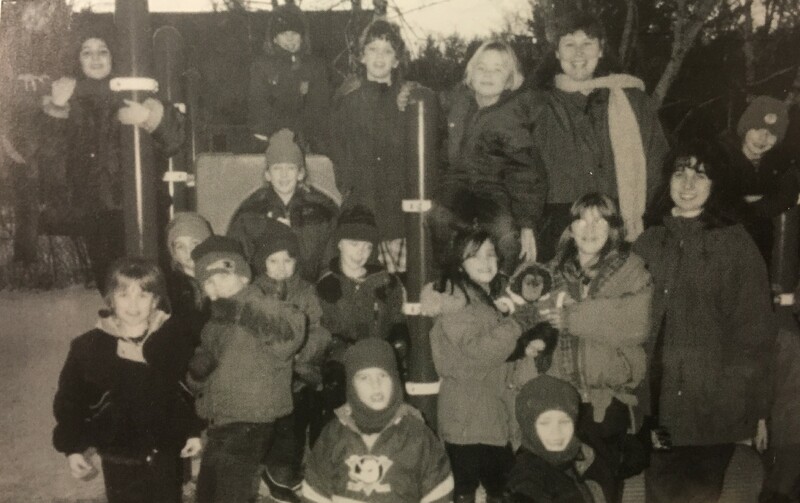 Somewhere in his busy schedule, he was able to find time to dedicate four years helping to secure the future of a local organization that would soon be known as YMCA Camp Coniston. In the 1950s and 1960s, Dorr was instrumental in scouting a new location for Soangetaha, with his own plane! George not only raised money from his local business colleagues; In 1963 he donated over $50,000 of his own money to ensure the move to Croydon. In 1963, while on his way to meetings at the United Nations in Geneva, he would stop in Washington, D.C. to continue negotiations with members of the Dudley family for the purchase of Coniston. 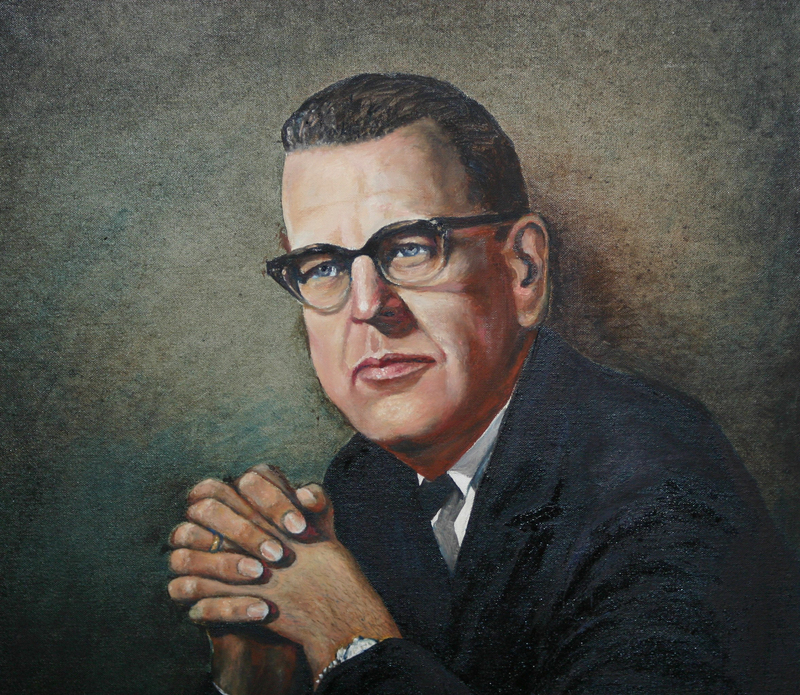 Mr. Dorr served as board chair from 1958 to 1972, and remained a board member into the 1980s. It is an understatement to say that Coniston would not look the way it does today without his philanthropy and vision. 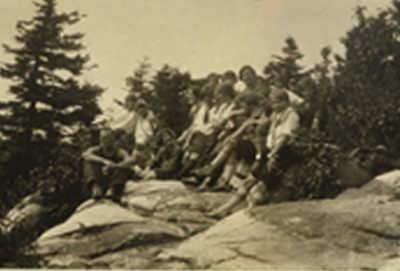 The first Youth in Government program begins in upstate New York in 1936, and reached New Hampshire by 1948. 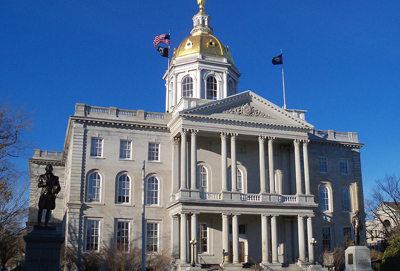 Following the motto “Democracy must be learned by each generation,” 29 schools and 300 teens and school advisors/YMCA volunteers currently participate in New Hampshire Youth and Government, hosted in the capitol building chambers in Concord, NH. 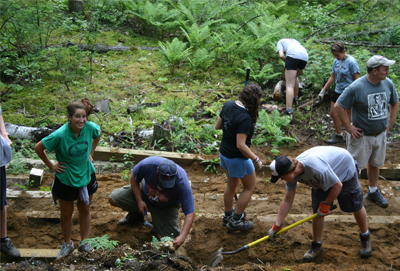 YMCA Camp Coniston helps to organize the three participating high schools in our District 9, continuing the legacy of citizenship education highlighted in our original mission. Click here to learn more about Youth and Government in our state! 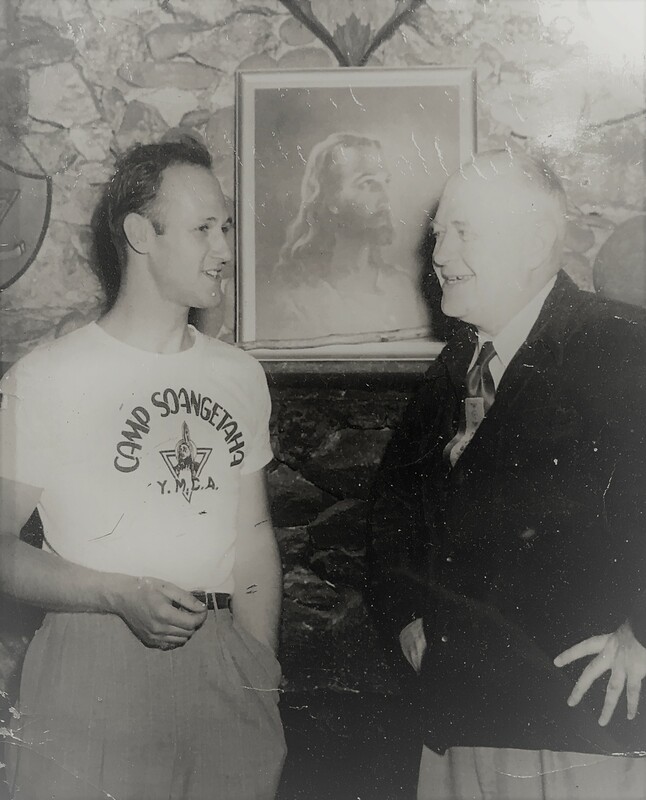 George Magoon, pictured left with W. Willard Hall, Exec. Secretary of the YMCA. Although our campership program began under the Primers, it continued to grow under Magoon. 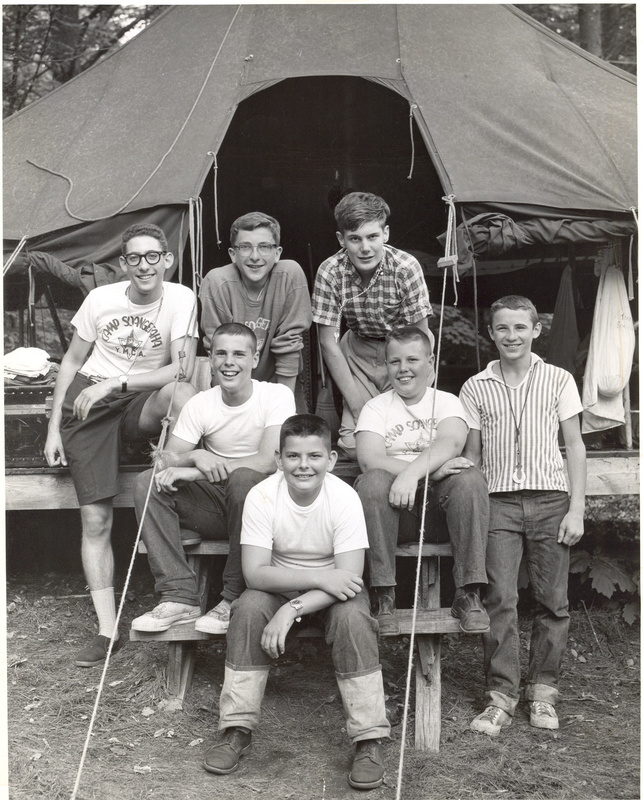 In 1952, almost 25% of Soangetaha campers were able to attend thanks to donations! Mr. Magoon worked to make camp an inclusive place for everyone (as you’ll see in the next panel!). 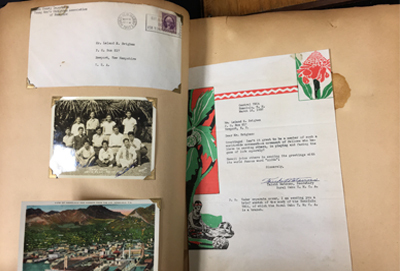 Based on an increase in the quality and quantity of our archival documents from this time, coupled with the lengthier period of Mr. Magoon's time with the organization, we believe he was instrumental in improving how Soangetaha was structured. 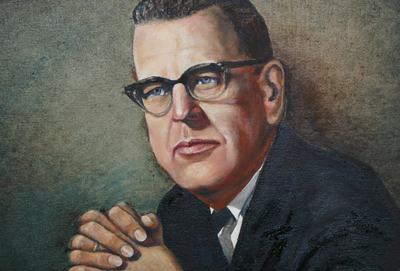 He was replaced by Norm Van Gulden in 1954, retiring from camping to go on to become an Episcopal priest for decades. 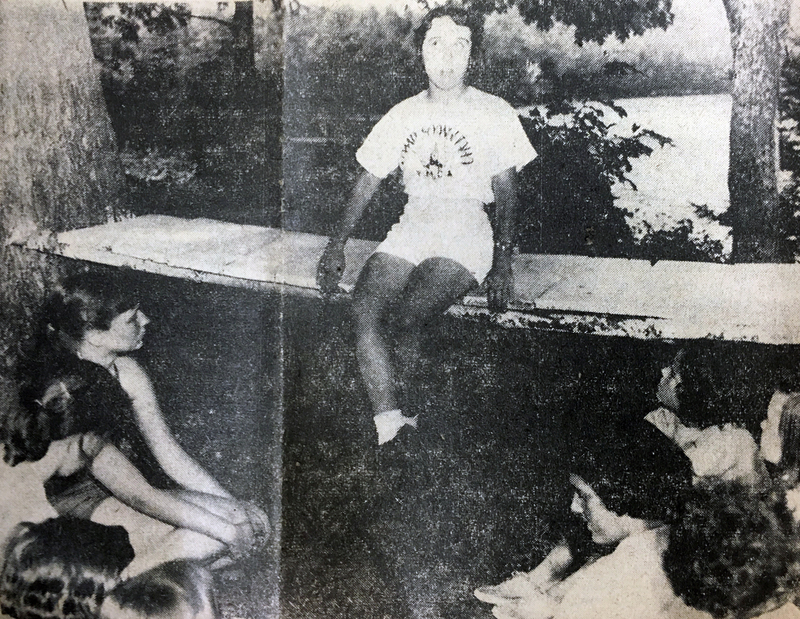 Norm Van Gulden becomes Camp Director through 1959. 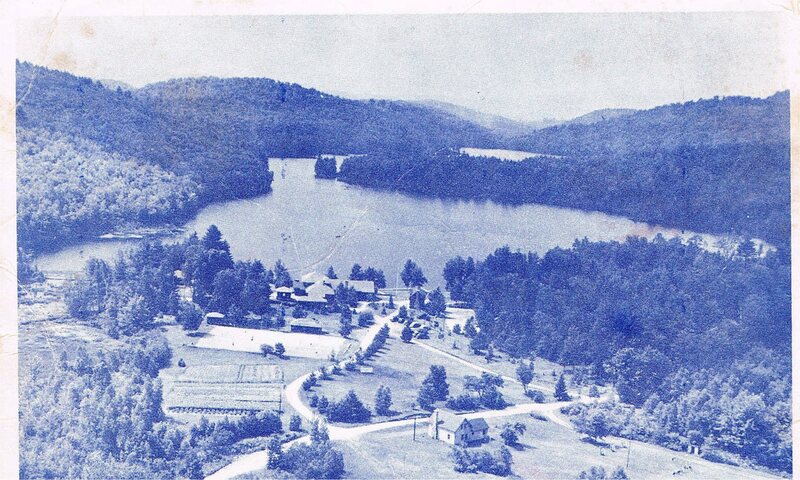 By the end of the 1950s, Camp Soangetaha was seriously looking to relocate from their Rand's Pond location. 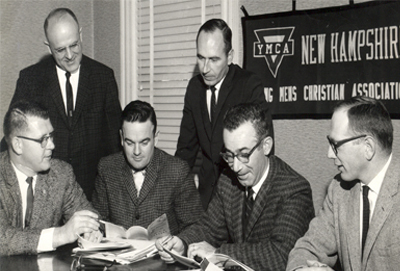 Camp Director Doug Reed (pictured left) begins his role as Camp Director through 1968, while Norm Van Gulden leaves to direct YMCA Camp Abnaki in Vermont. 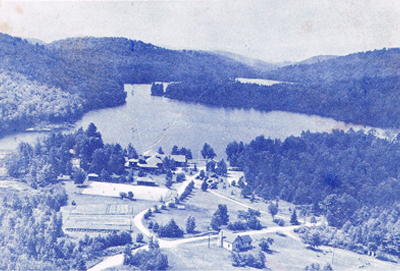 Meanwhile, the board of directors begin the first steps of moving Camp Soangetaha from Rand's Pond to the Camp Interlaken location on Lake Coniston, spearheaded by Chairman George Dorr, Jr. 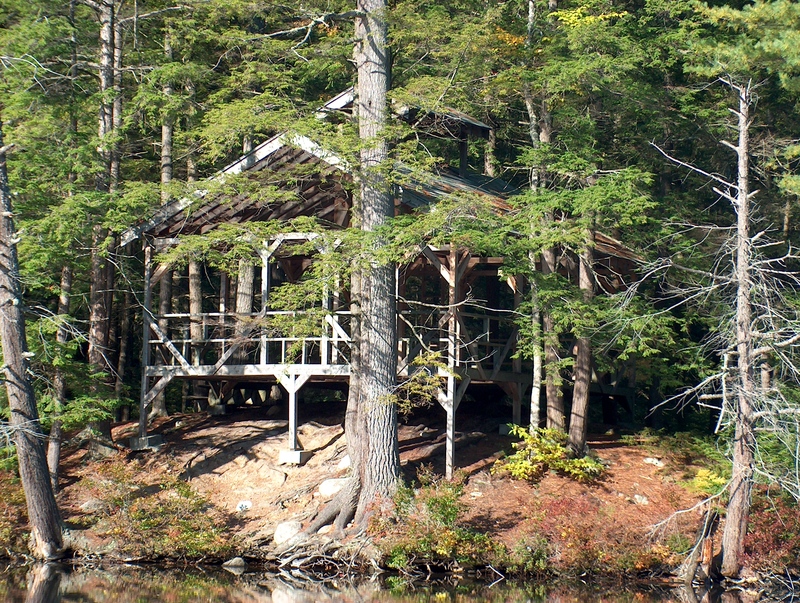 The State of YMCA of New Hampshire sells Camp Soangetaha property on Rand's Pond to Goshen for $200,000. Coupled with donations from local businessmen, this would provide the resources to finally allow the purchase of Camp Interlaken in Grantham for $380,000. Thanks to a major fund drive led by George Dorr, Jr. and a number of volunteers to help purchase the property, the Soangetaha campers, board, staff, and programs moved to the facility on Lake Coniston and welcomed many Interlaken campers into our YMCA family. 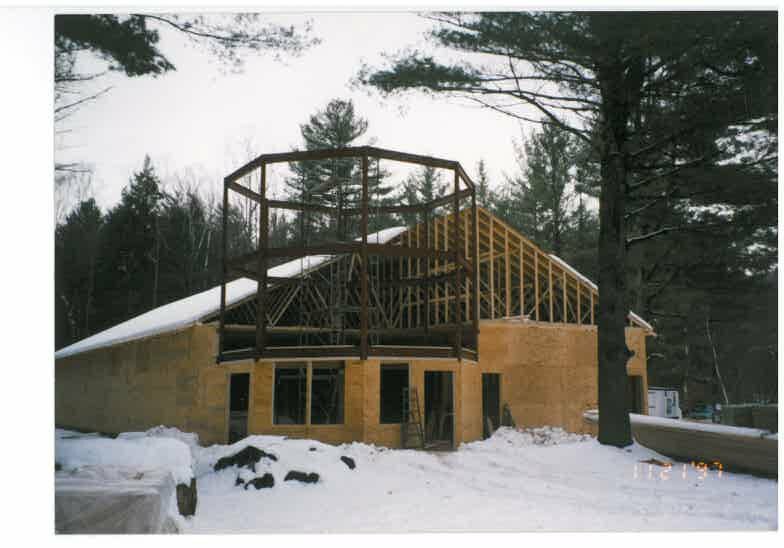 From using donated land for our original site on Rand's Pond, to the 1964 move, to the more modern gifts of land we have received, philanthropy has always played a crucial role in ensuring a space for camp to sustain and grow. 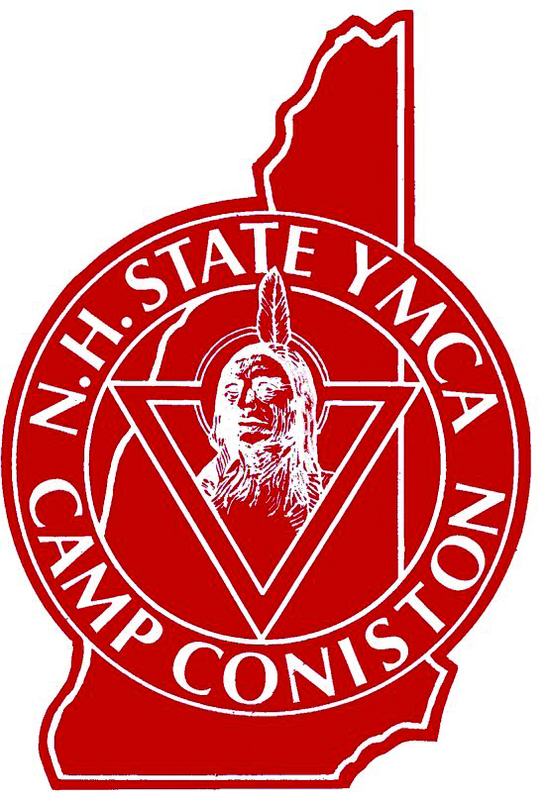 While searching for a long-term name, the Camp operated under the lengthy title: “The New New Hampshire State YMCA Camping Reservation for Boys and Girls.” Apparently, the camp name was so long that a common complaint was that parents had trouble writing it in its entirety on a check! Alas, the days of the "NNHSYMCACRFBAG" title were short lived; Camp would only operate under it from 1964 through 1968. 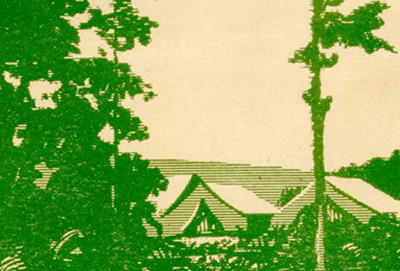 The name Camp Interlaken is sold to a Dudley nephew, and operated as a camp in Vermont. 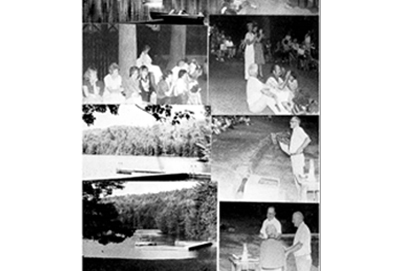 Camp Director Bob Sanders begins work in 1968 to prepare for his first summer the following year, while Doug Reed moved to direct State YMCA Camp in Maine. 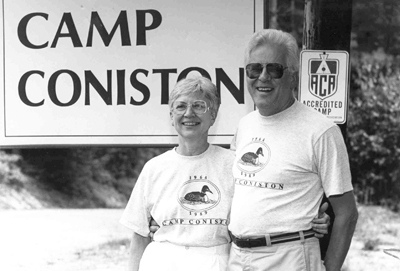 Bob, and wife Erma, would continue to helm the Camp 22 years. While the lake was frozen in their first year, new, permanent docks were put in at Girls and Boys waterfronts, which we still use today. Camp operates for the first time under the name Coniston. The name was selected to match Lake Coniston, the organization's new home. 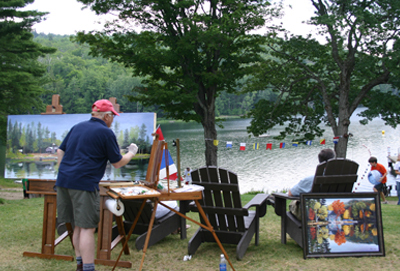 As you'll recall, the lake was named by the Dudley family who operated Camp Interlaken at the time, in honor of the book “Coniston” by author, former board member and Soangetaha founder Winston Churchill. They named Lake Coniston because they enjoyed the famous novel about a local area, but had no idea about Churchill's involvement in the organization, Soangetaha, that would eventually purchase the Interlaken grounds. 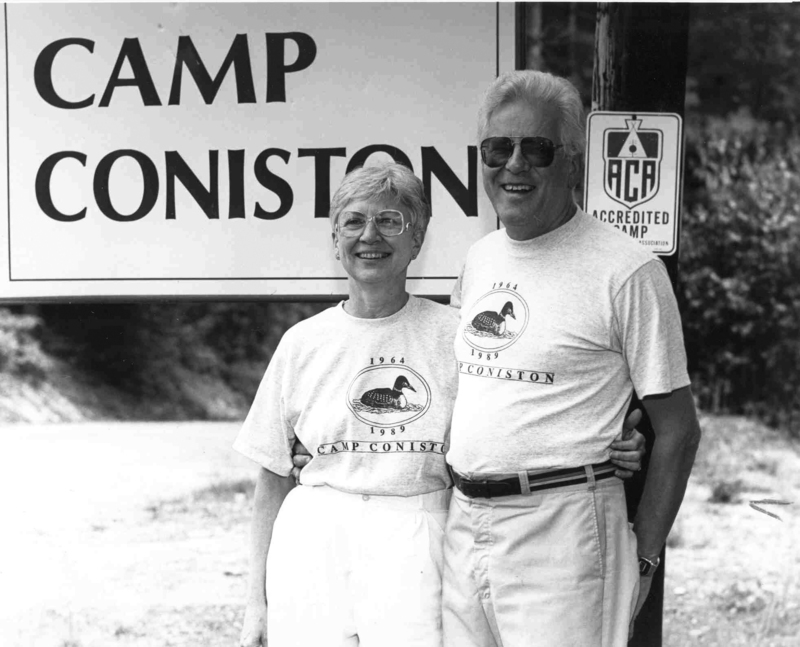 Thus, it is only through serendipity that Camp Coniston is named for the book written by one of our founders. 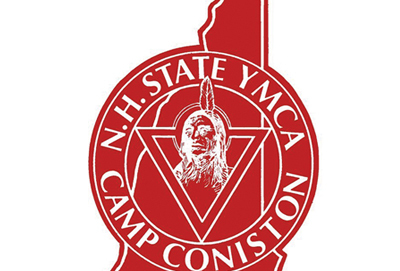 Other potential names for the camp that were discussed by the board include Camp Dorr, Camp George Williams, Long Pond YMCA Camp, Camp Wilderness, YMCA Camp Timber Lake, and continuing to use YMCA Camp Soangetaha (which was voted in to second place). 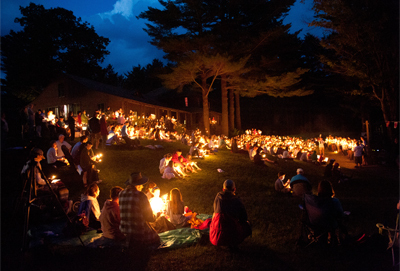 In the upcoming years, Camp grew to host close to 300 campers each session. Camp also constructed new Colleges, the horse barn, and continue to grow into their new facility. 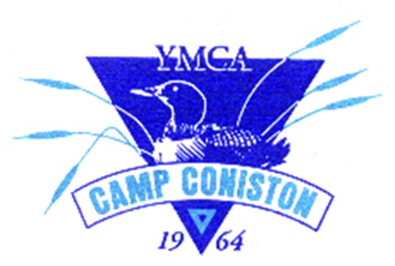 Camp Coniston will use the logo pictured left from the early 1970s through 1993. The Army Reserve's 368th Engineer Battalion, or the "Delta Dragons," commanded by Capt. 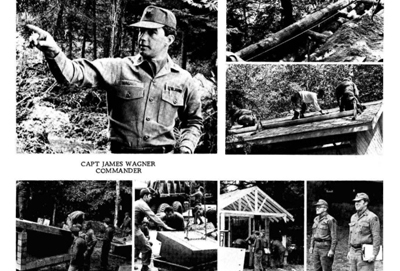 James Wagner, conduct two week summer training at Camp Coniston and participates in major building campaign. The common loon (Gavia immer), sometimes called a great northern diver, has long been associated with Camp Coniston and our lake. However, there was a time not too long ago when the loon almost ended up on the endangered species list! Loons weigh about nine pounds, and have a wingspan of just under five feet. They can dive up to 90 feet, and stay submerged for up to 10 minutes while hunting fish. It's easy to see how they are so closely related to penguins! Ironically, while penguins can't fly, the common loon can't walk. This requires specific conditions in their aquatic habitat to thrive. For this reason, the mid-20th century was a troubling time for loon populations across the country. Peaking in the late 1960s through early 1970s, many of America's waterways were too polluted to be suitable for loon populations. At this time New Hampshire only hosted as few as 10 successful nesting pairs of loons. The 1972 Clean Water Act marked a turning point in the improvement of water quality, and the loon, as well as other avian species such as bald eagle and osprey, began to flourish again. So where does Camp fit into this story? 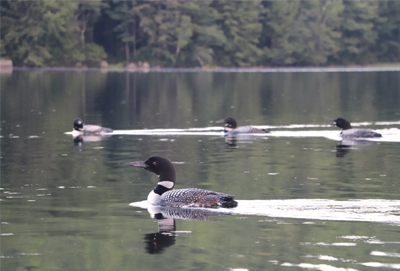 When other lakes were too polluted to host loon populations, Coniston's pristine conditions served as a haven for loon families until they could spread back out through the region. The Sander's first associated the loon with the Coniston organization during the 1970s and and 1980s, and Director Nancy LaRue made it our official symbol in 1994. 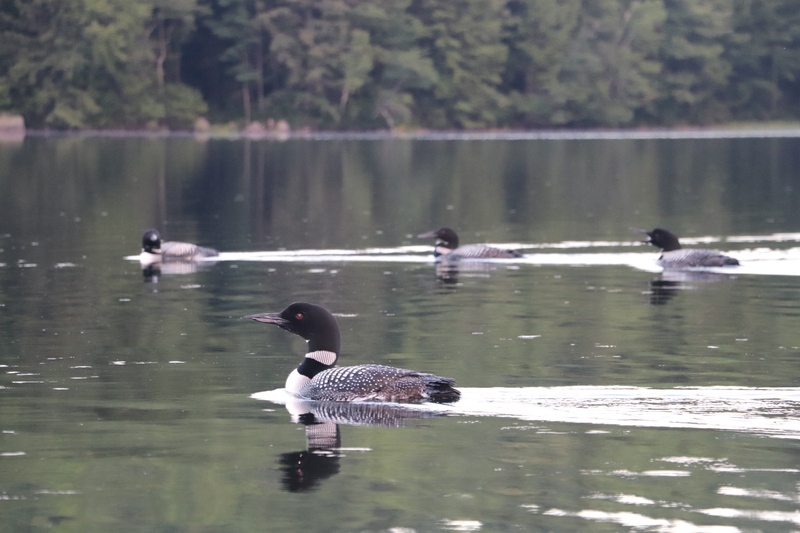 Like the loon, no matter what is going on outside of our Coniston valley, we can always rely on this space to help teach youth so that they may take the lessons learned here on the lake and spread them far beyond. The loon serves as our logo, mascot, and symbol today, reminding us of the importance of to taking care of our environment and community. 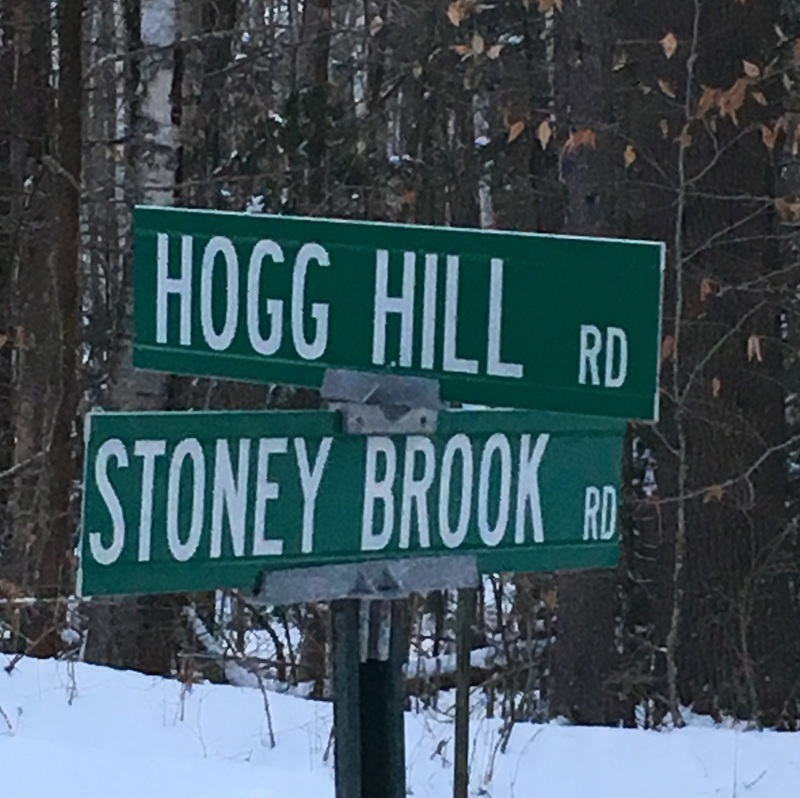 With a generous donation, Mildred Fristedt of Watertown, MA, adds more than 200 acres of property on Hogg Hill Road to the Camp facility. At the time, camp owned a small portion of land behind Boy's Camp, meaning that houses could have been developed right next to the cabins. 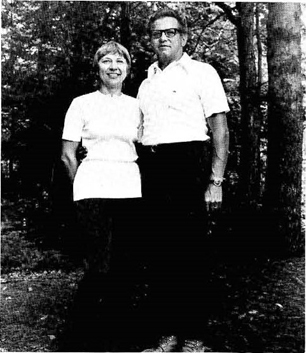 Mrs. Fristedt's critical donation significantly extended Camp's acreage, protecting the wilderness by our residential cabins and lake. 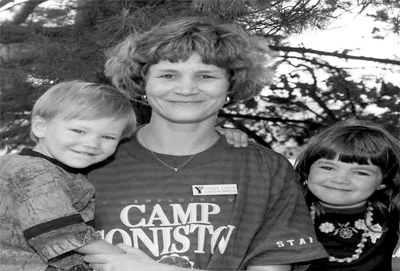 The Carl Witherall Fund began underwriting Camperships to pay for kids coming to Camp. The Witherall fund bequeathed $241,000 to the New Hampshire Charitable Fund, solely for the purpose of sending kids from the Lebanon, NH area to camp who otherwise couldn't afford it. 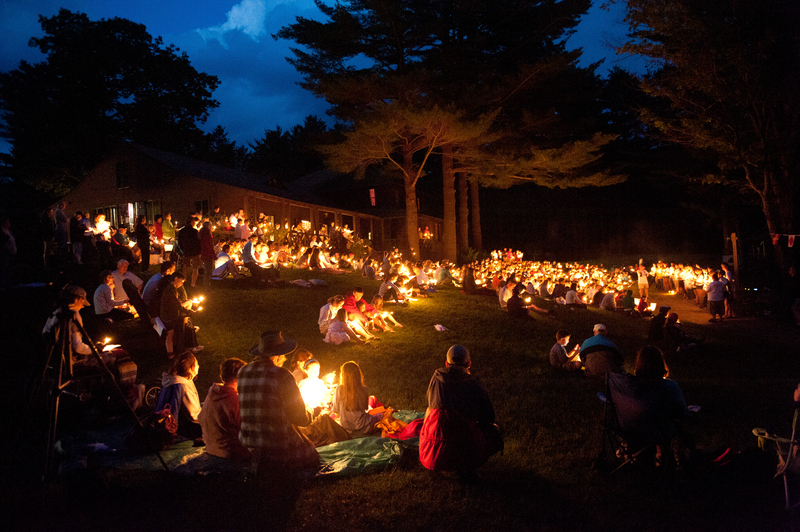 By 2015, his estate had sent more than 1,500 kids to camp, an entire summer's worth at the time! 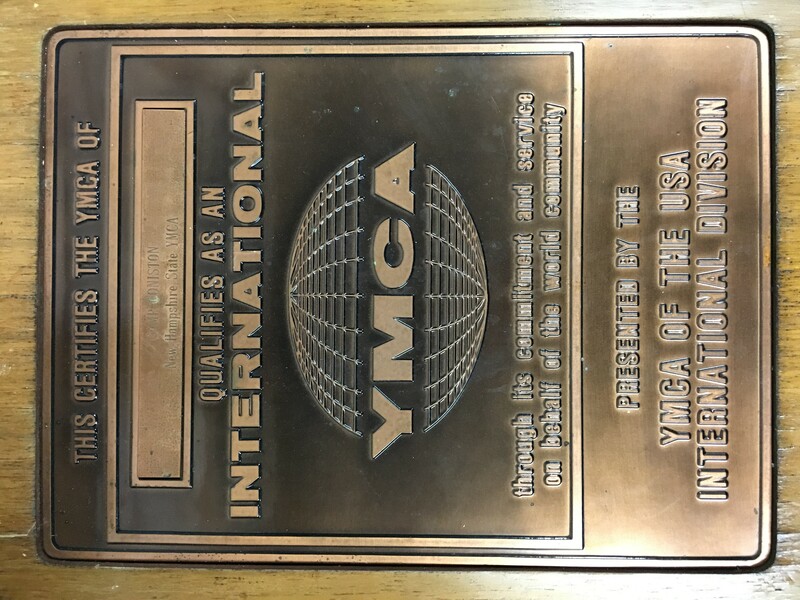 Camp Coniston is recognized as an International YMCA for its program quailty and inclusion by YMCA of the USA and the global YMCA movement. 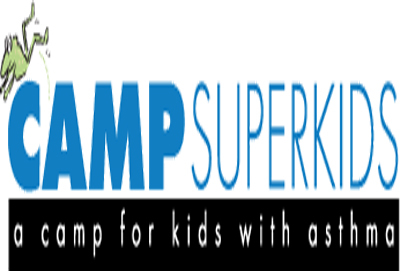 It's... Camp Super Kids! 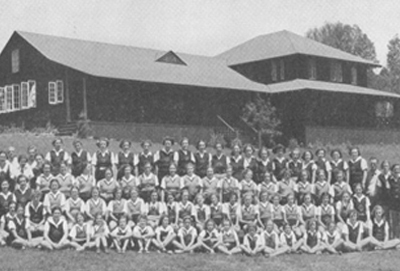 Programming began at Coniston for campers with asthma. 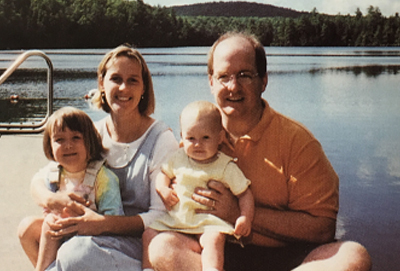 Working in conjunction with Dartmouth-Hitcock and the NH Lung Association, it would continue through 2001. 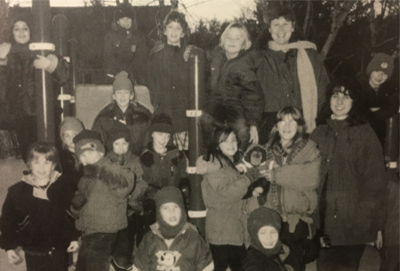 At this time, it became clear that campers with asthma were able to participate in the general summer program, and so a special camp was no longer needed. The overnight site Trigger is completed, a milestone in the building process of sites around the lake. 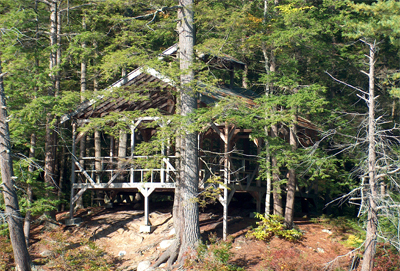 Today, the lake is home to seven overnight sites, including Gazebo, Flume, Loon, Boys Cabin, Trigger, Boys Lean-To, and General's Grove/Penny Royal. A new site atop Sugar Hill is planned for the summer of 2018 near where an overnight site historically was located. Camp celebrates its Silver Anniversary summer, or 25 years since it had moved to Lake Coniston. 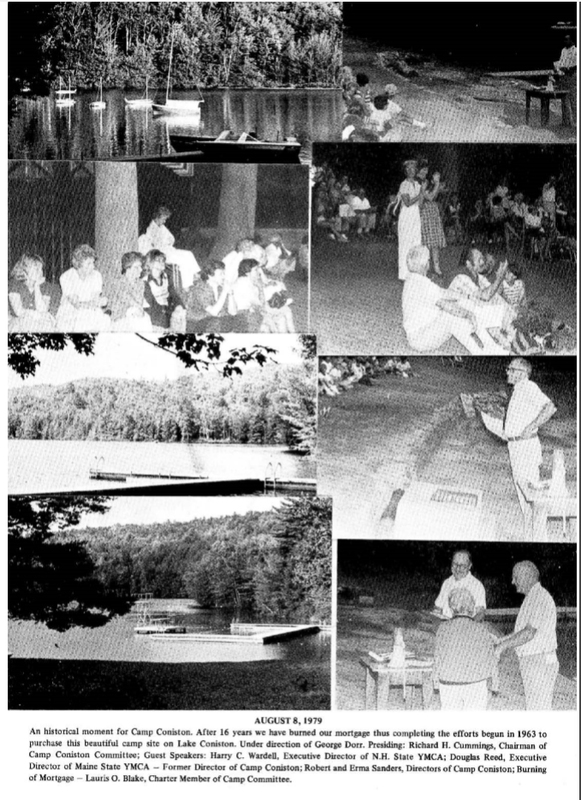 In celebration, the "Silver Anniversary" Pavilion opened, and is still overflowing each summer hosting the talent show, the Ice Cream Social, and gymnastics, among many other activities. Pictured left are the Silver Anniversary T-Shirts. Do you still have yours?! 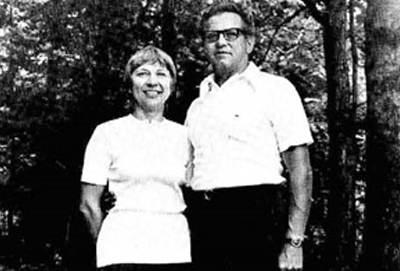 After the the Sanders retire to the mountains of Virginia, Nancy LaRue begins as Camp Director in 1992. 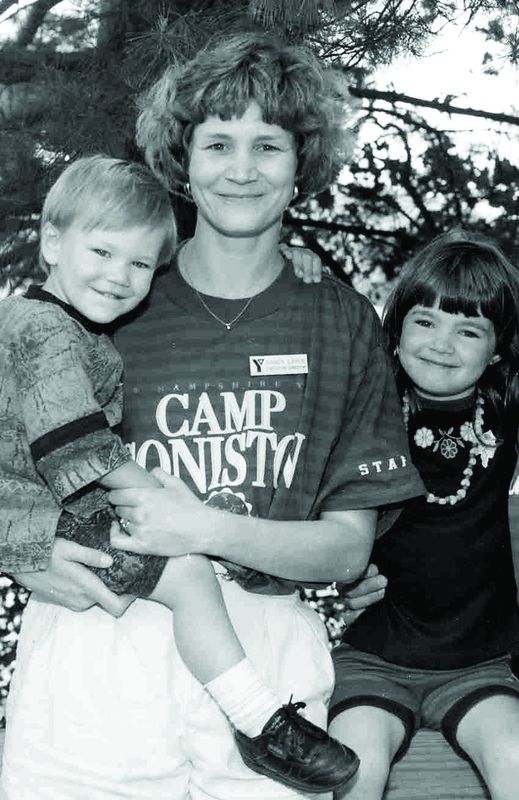 A graduate of Springfield College, Nancy spent her career first in camping, leaving Coniston in 1999 to continue working for the Y throughout the northeast before retiring in the 2010's. 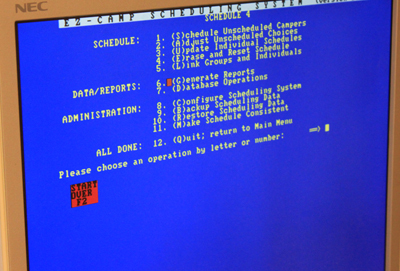 Camper schedules were programed with assistance from a computer for the first time. In the winter of 1993, The Coniston Chronicle becomes available to those involved in the alumni organization at that time, the “Coniston Club.” Today we send it to our entire mailing list, so if you haven’t gotten your fall or spring issue, please visit coniston.org/alumni to update your information! 1994 saw the introduction of the original blue and teal loon logo, which was used until 2000. The climbing tower is built, and used by ropes for the first time. 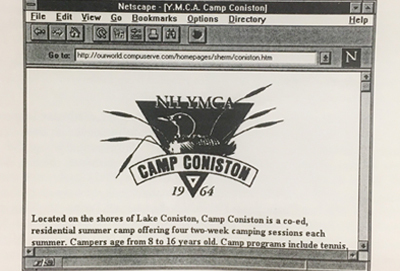 Although the domain wasn't "coniston.org" at the time, the first iteration of the Coniston website went live in 1996. Beginning his webmaster duties in 1995, Sherm Horton has kept our tech ahead of the curve since! 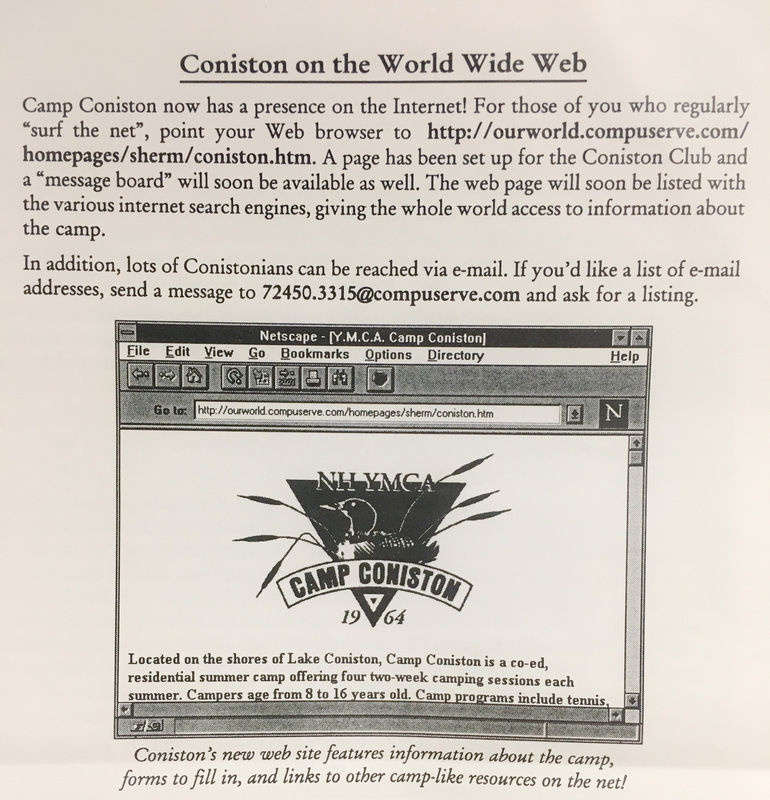 Although we might be known for for our snail mail during the summer, it was a pretty big deal when we were first available via email in 1996! In collaboration with Childhood Cancer Lifeline of NH and Ronald McDonald House, Coniston opens Camp Winning Spirit for families and kids dealing with childhood cancer. The YMCA of NH is dissolved. 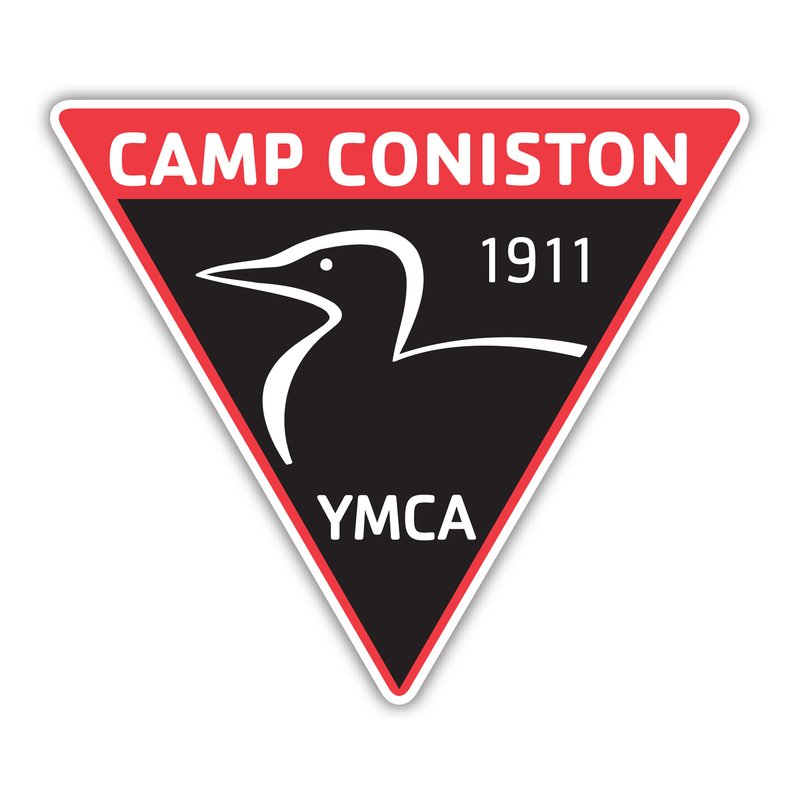 YMCA Camp Coniston now becomes an independent Y, able to focus our resources solely on camping and kids. Board members Tom Simon, Bert Myer, and Brian Grip were instrumental in this pivotal change, allowing for so much of the growth we are able to accomplish today. The Dining Hall is Open for Business! Thanks to generous donations from the local and Coniston community, the new dining hall opens in the site of the old girls CIT cabin. Traditionally, the dining hall was located in what is now New Hampshire Hall, a much smaller space. Meals were served buffet-style. The new building could feed all of Camp family-style in a single 500-place seating, meaning all of camp could share a meal together. Camp Coniston begins its first Afterschool programs in local school districts, completely funded by donations to Camp. Today, the program exists in 5 sites throughout the Upper Valley, with over 200 students a week! Coniston hosts Kearsarge Area Children of Hope, bringing together Protestant and Catholic Youth from Belfast Northern Ireland for a week of “peace and reconciliation” programs. 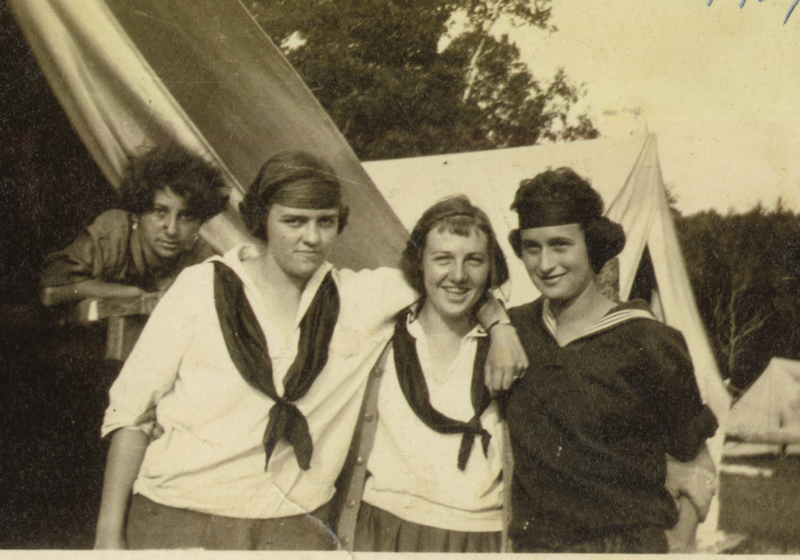 As we look over the pictures from this time in the archive, we think it's a powerful statement that regardless Catholic or Protestant, European or American, for a group of campers brought together during a time of war for their differences, it is impossible to tell them apart. 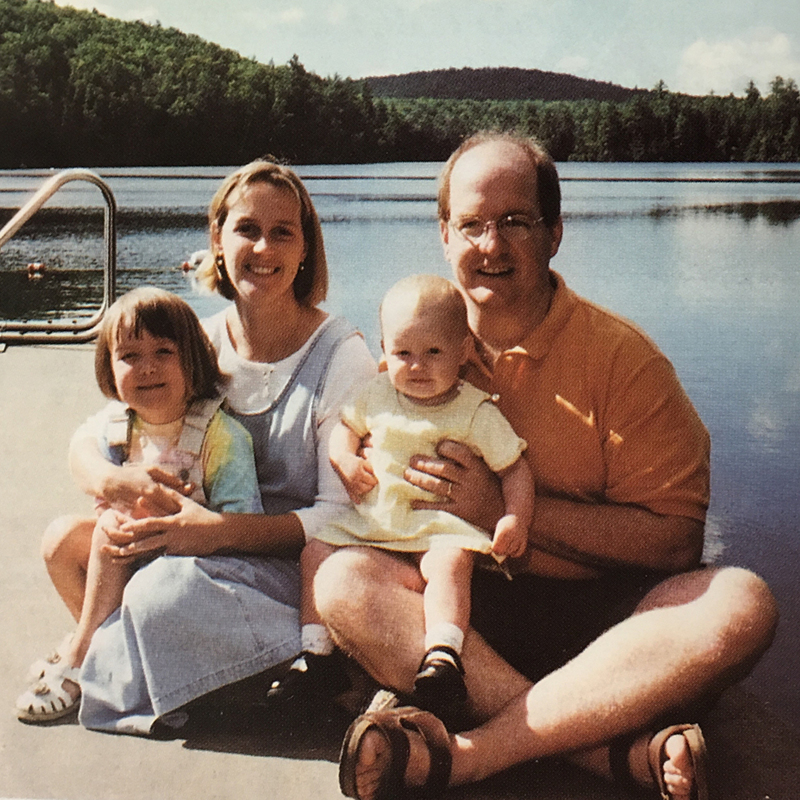 Introduced to camp working at YMCA Camp Piomingo, John Tilley spent years leading trips in the south-western United States and working at camps in Pennsylvania including College Settlement and YMCA Camp Piomingo before arriving to begin as Camp Director in late 1999. He has been serving as our CEO ever since. 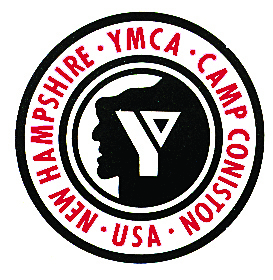 Adopting the Y of the USA offical colors at the time, Coniston updates its logo to the black and red triangle that we still use today. 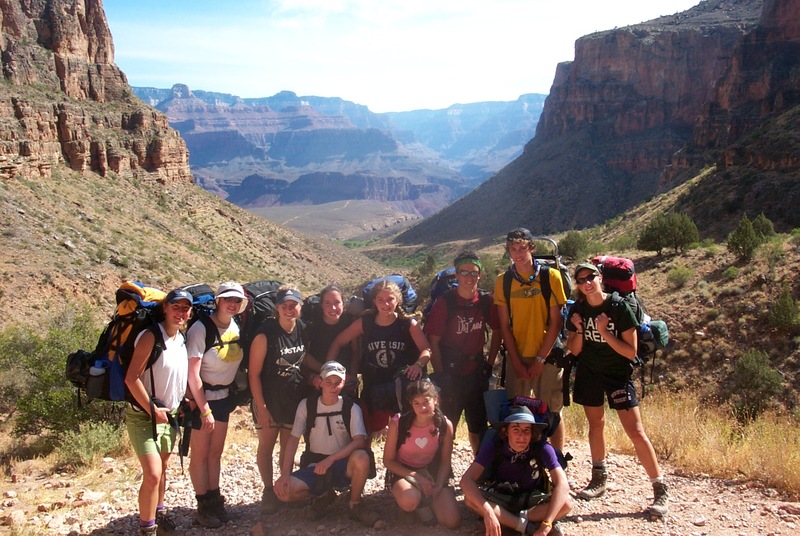 Additionally, Adventure Camp beings as a new option at Coniston, one-week trips for boys and girls 13-16—hiking, kayaking, whitewater rafting, mountain biking, and more! 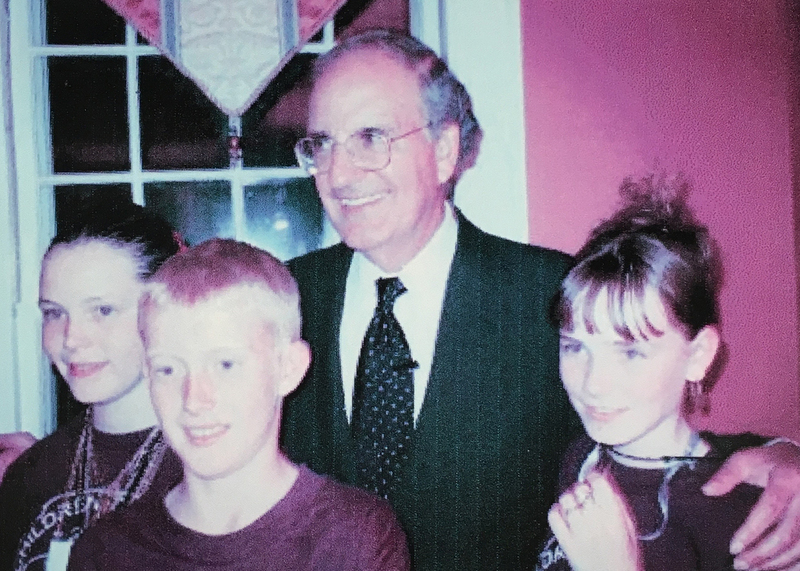 Former Senator from Maine George J. Mitchell is pictured left visiting with Irish and and Northern Irish campers participating in the Children of Hope program, hosted by Coniston. 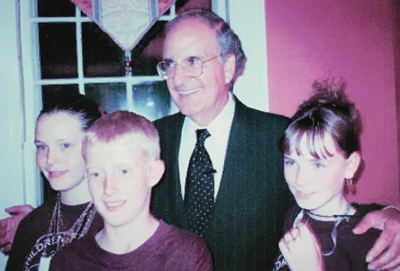 Senator Mitchell served as a crucial member to a special envoy which helped establish agreements of non-violence, crucial in leading to the Belfast Peace Agreement in 1998. He was awarded the Presidential Medal of Freedom and the Liberty Medal for his crucial role in negotiating an end to The Troubles in Ireland. 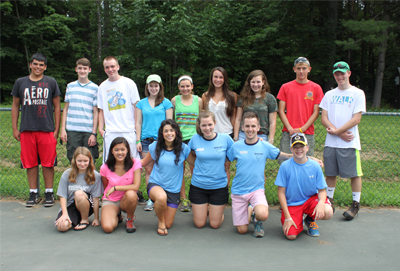 Camp Welcomes West Coast CITs, and Residents of Croydon! West Coast CITs are introduced as a third option (sessions 2 & 3) to complement our existing East Coast CIT programs. Additionally, Camp hosted the first ever Croydon Day. Croydon day is an opportunity for members of the Croydon community to meet, eat, and celebrate together on Coniston grounds. The event includes games, food, and perhaps most iconically, a tug of war match between residents of Croydon Flats and Croydon Village. Coniston was awarded the Croydon Community award in 2009. Coniston purchases the remaining land around Cranberry Pond, completing our ownership of the Bog. 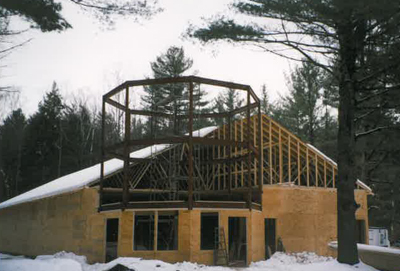 Over the next 3 years, CITs used this property to help construct Camp’s new outdoor Chapel. 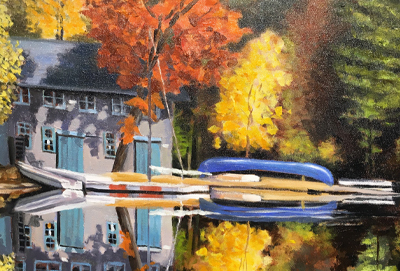 Coniston Board of Directors approves a campaign to raise over $500,000 to purchase the last remaining acreage visible from the lake, securing our entire valley for all future Conistonians. Thanks to generous donations from the Camp community, Coniston was able to purchase the land, securing the entire valley and 98% of the watershed. 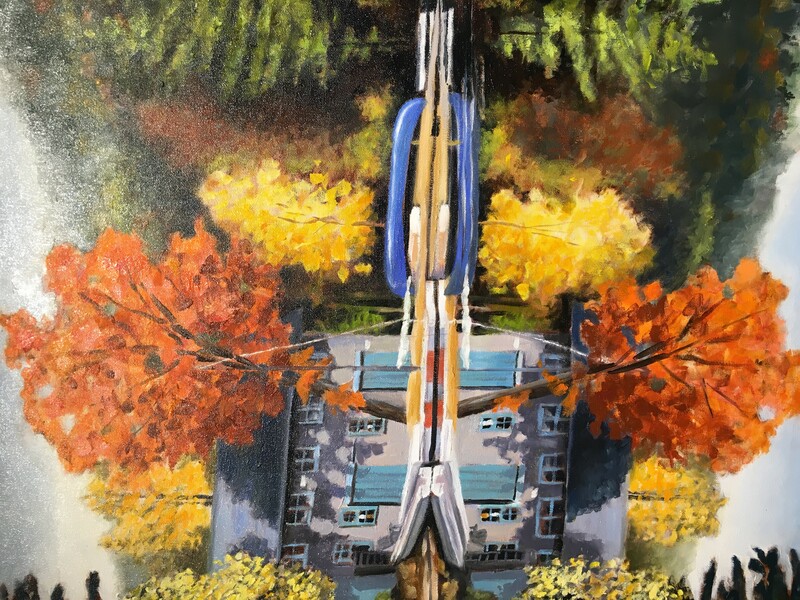 In 2005, artist Chip Evans painted a portrait of the Coniston Boathouse. 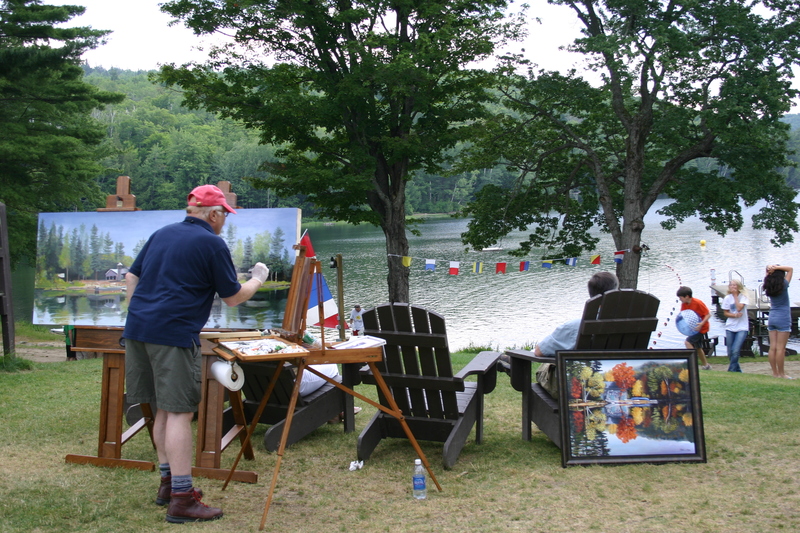 In 2007, Evans spent the summer at camp painting and demonstrating his craft. The result? A 24’ long, 220 degree view of the Coniston waterfront through the four seasons. The mural now has its permanent home in the Coniston dining hall. After a few years of hard work, the Chapel is finally opened for summer use! 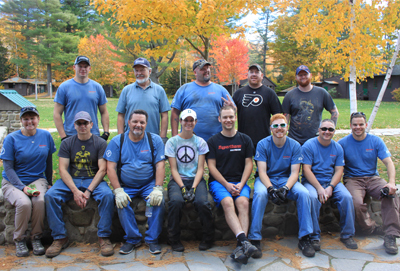 Beginning in the off-season, employees from Hypertherm (pictured left) volunteered all around camp, a much-appreciated tradition to this day! Coniston hosts a reunion for alumni of Soangetaha, Interlaken and Camp Coniston with over 2,000 attendees, the largest of its kind in YMCA camping history! 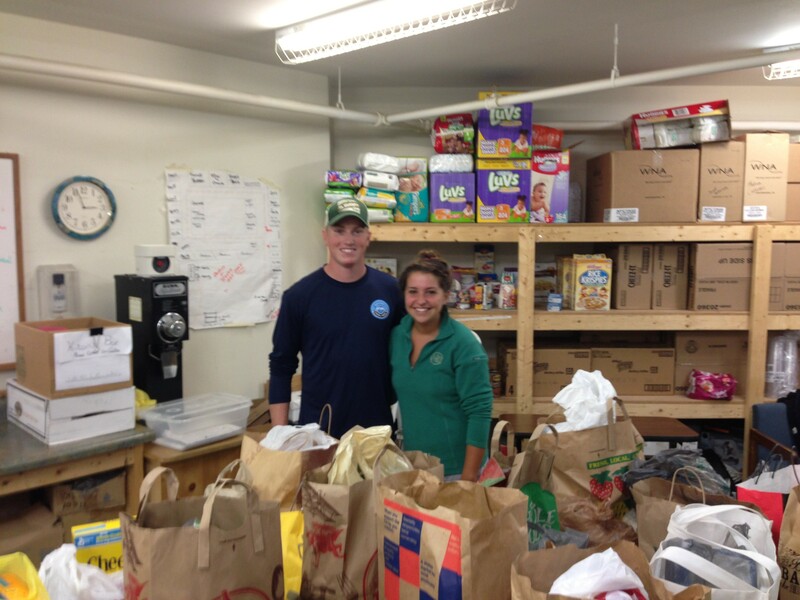 At the suggestion of Registrar Lorraine Newcomb, camp begins collecting items for the food pantry during check-in, a tradition that continues to this day! 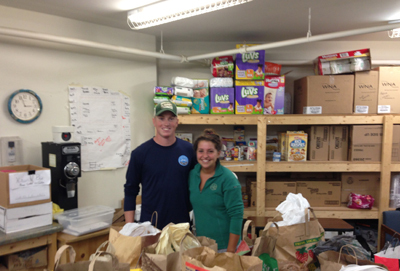 High School-aged Conistonians participate in the first ever service trip program, traveling to West Virginia. Today, the trip continues there and in other locations across the Northeast. The new infirmary is completed in the spring, and ready for 2013 summer use. Every once in a while, we find a piece of technology we don't mind introducing to the camp community. 2015 marked the first year online registration became available.